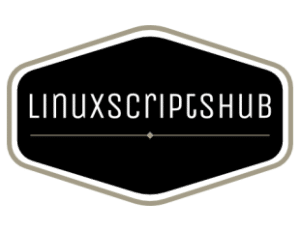 You need a valid GCP account and EC2 servers. Go to Compute engine, and create a new project. 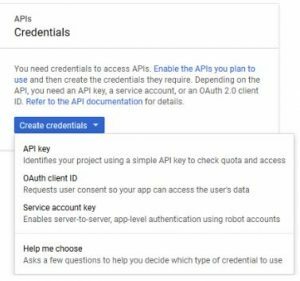 After created a new project , we need to generate a Service account key for GoogleEndure later. Download and save the JSON on your computer. 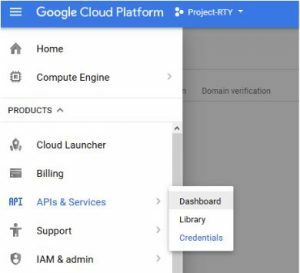 It will prompt a window and ask you to leaving GCP and using CloudEndure to import a vm. Select continue . CloudEndure will ask you to log in a gmail, log in with the same GCP gmail. Paste the Project ID and upload your JSON file, you will see something like this. 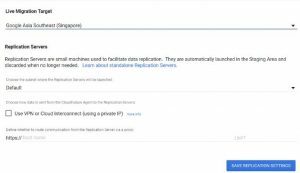 After that setup your server region and save the replication settings. After that you will see the Agent installation token. Log on to your EC2 server, follow the steps to start migrate. 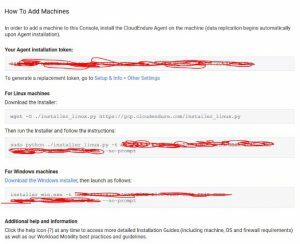 There are only 2 steps to start the live migrate, download the installer , and run the installer with the command provided in CloudEndure. When the migration is start, you need to modify the blueprint for your server. Select the specs you need and run your machine. Wait for the migration done , run a test for your server .